The publisher said he never regretted putting Ryan Harris’s book out. But prosecutors and the defense lawyer for Harris, 28, disagree on whether Harris should be held responsible not just for his own actions, but for others who used his information to steal Internet service and on whether it constitutes a federal crime. Harris is charged with eight counts of wire fraud; prosecutors allege he used the Internet to carry out his scheme. The case, playing out in federal court in Boston before Chief Judge Mark L. Wolf, highlights the clash between law enforcement and a movement that champions the free flow of information online. With jurors set to deliberate the case today, the trial is the latest example of prosecutors levying federal charges against a defendant for helping others get access to information on the Internet or to the Internet itself. A guilty finding and a harsh sentence would be a high-profile warning for others not to follow suit, but an acquittal could support those who push for free access to the Internet. Harris’s lawyer, Charles P. McGinty, told jurors that Harris did indeed tamper with modems to learn how Internet service providers were regulating them. But, McGinty argued, his client should not be held responsible in a criminal court for what others did with the information. To access Internet service, Harris, who went by the moniker DerEngel, would modify, or uncap, a modem to remove the filters set up by the Internet service provider, allowing the modem to have a quicker Internet connection without the Internet service provider being able to throttle it. Harris would also clone other people’s modem addresses, or identification codes that Internet providers use to confirm that a user is a paid subscriber. By some accounts, Harris’s modem-tampering had its roots in trying to upgrade Internet performance for his own use. Craig Phillips, a former business partner of Harris, testified last week that he first met Harris through the video gaming community and that they discussed ways to better Internet speed. At one party in Phoenix close to a decade ago, about 20 people tried to coordinate a video game together, but they did not have enough Internet speed. Harris showed him the manipulated modem. “He felt the Internet should be free, and no one should have to pay for it,’’ Phillips said. Similar cases have historically been settled in civil courts, with companies suing a hacker for copyright infringement, among other complaints, said legal analysts. But, according to the analysts, the cases are increasingly making their way into criminal courts as the US Department of Justice and the companies - ranging from Internet service providers to online journal archives - seek stronger ways to deter the unlawful access to information the companies put on the Internet. The US attorney’s office in Boston first created its cyber-crimes division in 2005. In another case, prosecutors indicted a Cambridge web entrepreneur and political activist last July on charges of hacking into a subscription-based archive system at MIT and stealing more than 4 million articles, including scientific and academic journals. Aaron Swartz, then 24, lobbied for the free flow of information on the Internet and said the articles should be made available to anyone. He faces charges of wire fraud, computer fraud, and unlawfully obtaining information from a protected computer. Cohen argued that in many cases the companies are asking the Department of Justice to bring criminal charges. But prosecutors, who have used the broad language of fraud laws to bring such cases, must not overreach. Bill Pollock, founder of No Starch Press, the publisher of Harris’s book, questioned whether Harris ever committed a crime. 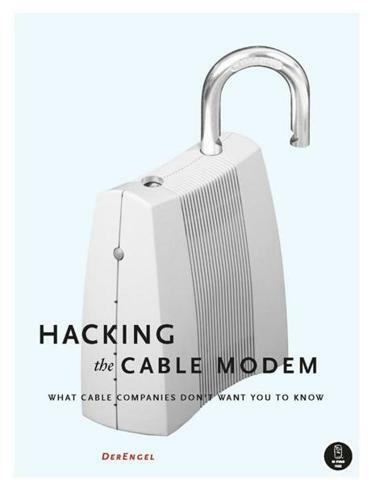 Pollock said he did not regret publishing Harris’s book after seeing how it exposed ways Internet companies regulate the flow of Internet service and thus what people pay for it, through cable modem technology. “What did he do that was illegal?’’ Pollock said. The case, according to those who follow technology trends such as Pollock, could have deeper implications for anyone who modifies such equipment, for instance, a smartphone. But Sedky said that the hacking of the modems to get access to more Internet service disrupted a commercial service provided by the Internet companies, which had invested money to provide the infrastructure. Witnesses in the trial have testified that Harris knew that others were using the modems to steal service and that he considered the sale of the modems a business. He had more than 10,000 customers and made more than $1 million in sales over six years, Sedky said.